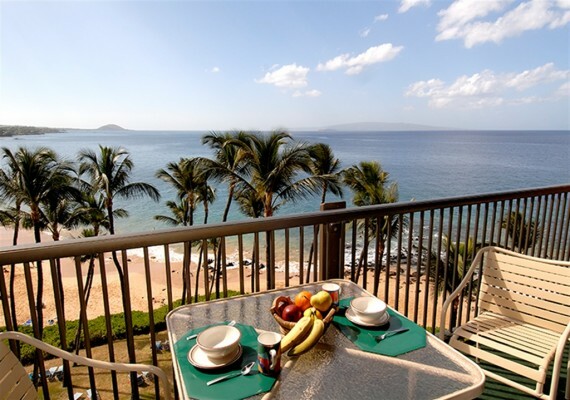 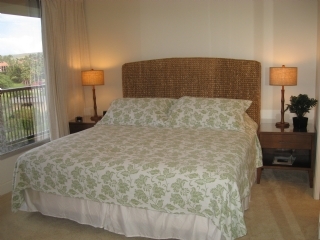 Mana Kai Resort Condos for Rent rests directly on scenic Keawakapu Beach in sunny Maui's south shore and offers guests spacious hotel rooms, full one bedroom and two bedroom fully equipped condos, each with its own private lanai. 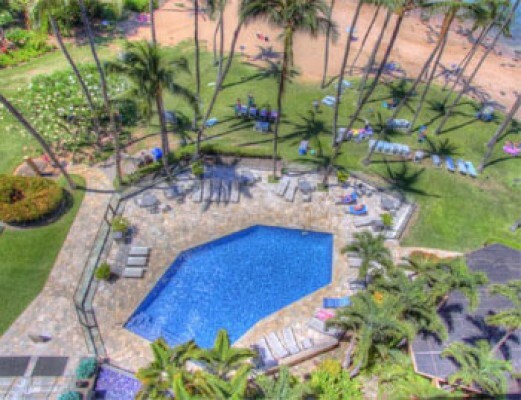 All of these beautiful Mana Kai condos have Beach front views. 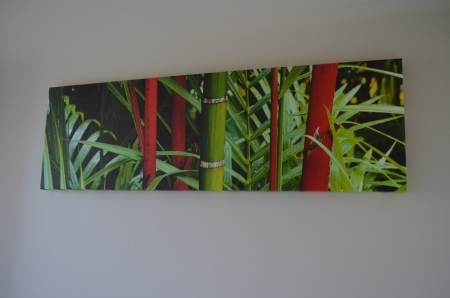 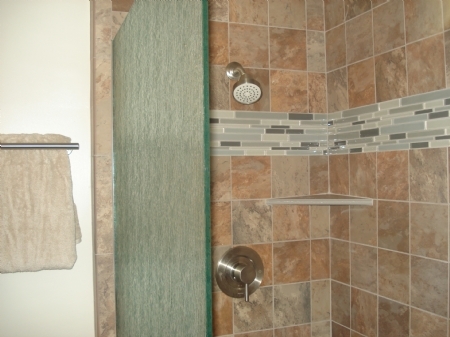 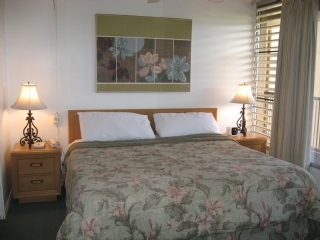 Mana Kai Resort features TV, DVDs, telephone, complimentary WIFI and a fully equipped kitchen. 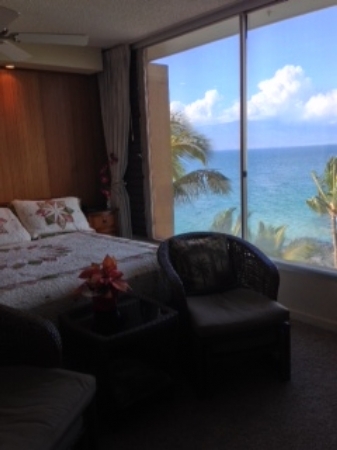 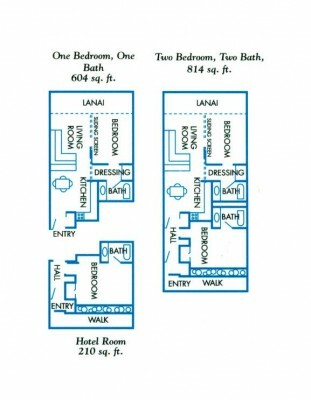 (Hotel rooms are garden view, coffee maker, mini refrigerator, no lanai). 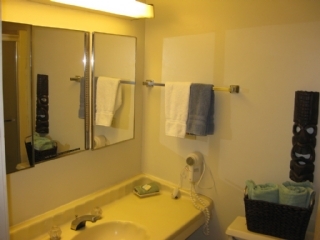 Ceiling fans are provided in the one bedroom condominiums and air conditioning in the hotel rooms and second bedroom of the condominium. 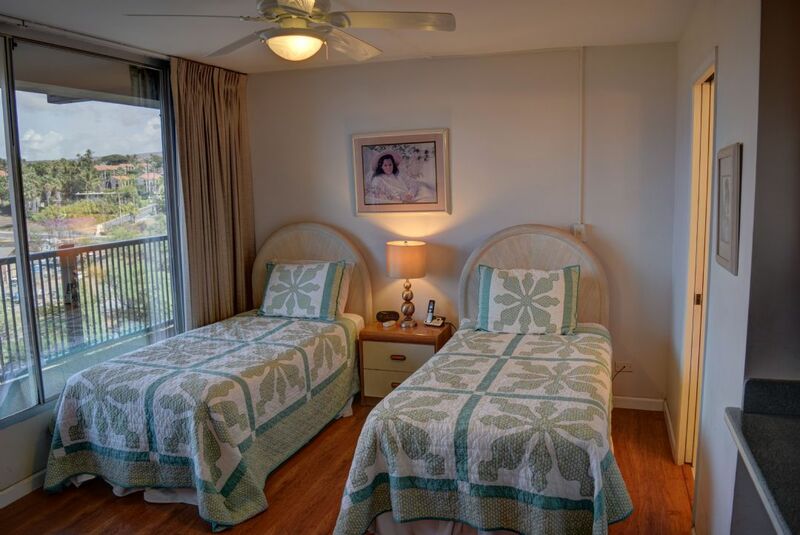 The condominium master bedroom is located next to the lanai for fantastic ocean front views and sounds of the ocean while you sleep. 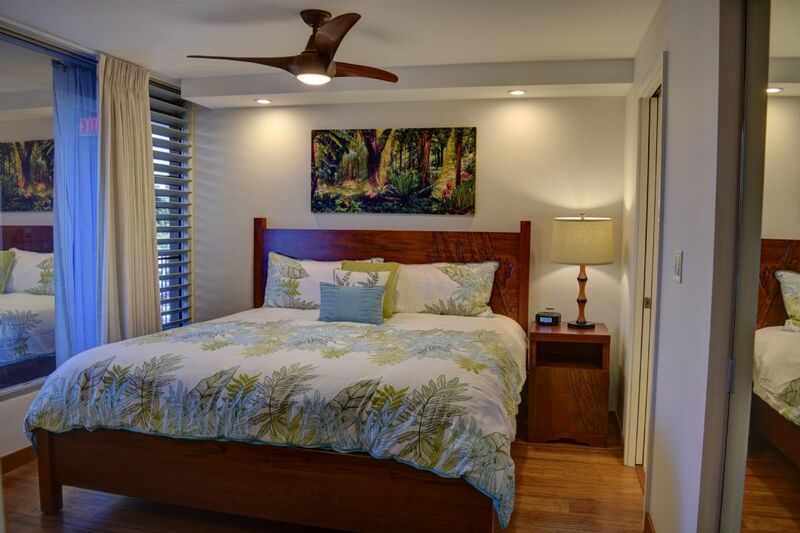 On most units this bedroom is separated from the living room by sliding "island style" shoji doors that slide closed for privacy. 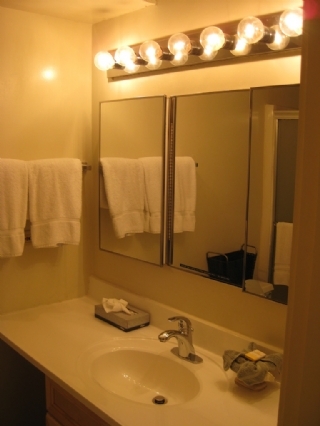 At various times of the year there will be minimum night stays enforced by the agent depending on availability and a "Mid-stay" clean for stays of at least 7 nights for most of these units. 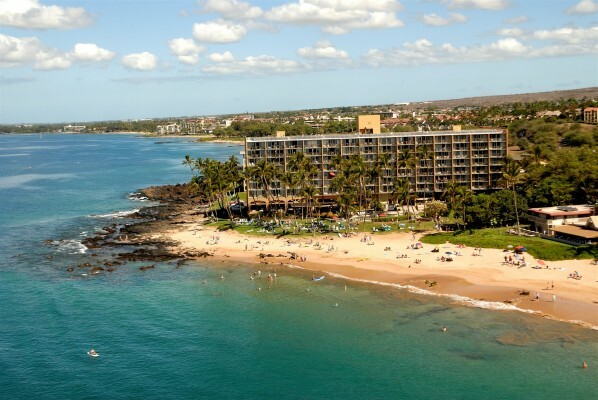 Equipped with a swimming pool, 5-star restaurant, kayak/surfboard rentals, and even a grocery / deli store, everything you could need for your perfect Maui vacation is located right on site of the Mana Kai Resort.